This is a lovely kit with some pretty awesome little elements and a good amount of papers. There is an ADORABLE saftey pin with tassels element that is one of the most unique things I have ever seen and couldn't wait to use it on a layout! There is also an adorable tree element and overall the elements are great! There are some really pretty papers but also a few i could do without. Overall, I loved working with this kit and here are my LOs I made. 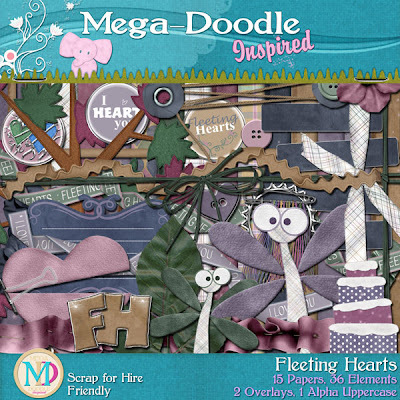 If you would like to purchase this kit hop on over to Mega Doodle Inspired and check it out! 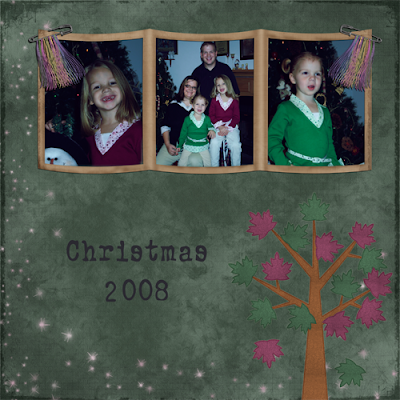 I looked on your blog everywhere I could think of and couldn't find a place to send you a private email so here goes. 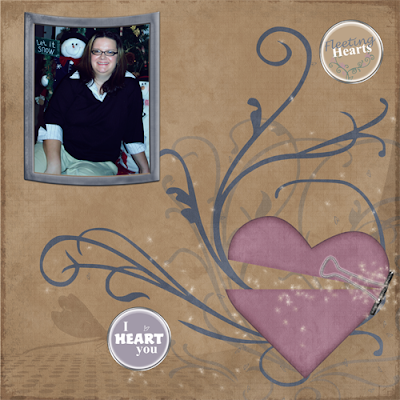 I love, love, love your 25 Days of Christmas and have been trying to use different pieces lately. I thought I grabbed everything, but find I only have half of the alphabet?!?! I do not know how that happened. Can you help? Either I downloaded it wrong or there were two days and I missed one. Can you tell me which day(s) the alpha was on, please? I have to tell you, you're one of the very few blogs I keep on my favorites. I "Digi-free" just about everyday, but I make sure to actually visit you to see what you're up to. You are very talented and I thank you for sharing that with me.